Don’t retire – pretire! New app ensures C-suite skills aren’t lost. Home Uncategorised Don’t retire – pretire! New app ensures C-suite skills aren’t lost. In a couple of years, the first of the baby boomers will start reaching retirement age. But just because someone has hit 65 doesn’t mean they necessarily want to give up working for ever – many relish the intellectual challenge that work brings. We’re also living longer. According to data from World Population Prospects: The 2017 Revision, the number of people aged 60 years or over is expected to more than double by 2050 and more than treble by 2100, rising from 962-million globally in 2017 to 2.1-billion in 2050 and 3.1-billion in 2100. That’s a lot of older people, and not all of them will simply want to sit in the sun and gaze adoringly at their grandchildren. Fortunately, there are many areas of business where boomers can use their skills and experience while still having the retirement they’ve dreamed of. It’s called “pretirement”, a concept that Andrew Marshall, director and co-founder of Pretire, is launching in South Africa for former C-suite executives who are up for some part-time projects. The project arose out of Marshall’s own experience. “Twenty years ago I was CEO of the Oceana Group for 10 years, and then CEO of Nampak for five years,” he says. “I retired four years ago and was keen to do nothing for a while. So, for three years, I did some of my bucket-list items and spent time with family and friends. “After a while, however, I thought I’d like to do some work, something to keep my brain stimulated. I approached some fund managers and said I’d like to do some projects for them – working on non-performing investments. There was a short-term project and I realised that the challenge excited me. 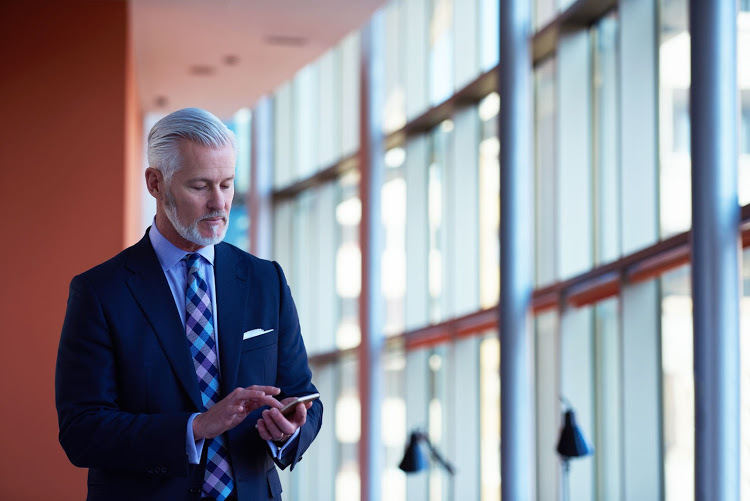 Pretire is an elite online platform that connects retired senior executives to exclusive assignments. Pretire candidates are semi-retired executives with proven track records and a minimum of 20 years’ executive experience. They have operated at the most senior levels of their organisations and include former CEOs, chief financial officers, chief operating officers, marketing and HR directors, and technical directors. Pretire calls them “pretirees” – too young to retire but old enough to have decades of invaluable expertise to help organisations that face a drain of skills and experience. It works like this. A former chief financial officer, for instance, would register on the Pretire website or download the app from the Apple or Android stores. Once they’d uploaded an abbreviated CV and been approved and vetted by Marshall and his team, they would be available for hire. Clients can look at potential candidates and bookmark them, and then approach them directly. If they find a suitable package, Pretire takes a 10% commission on the package they negotiate. “It’s a very cost-effective solution for clients, because so-called head-hunters charge 30%-40% commission, sometimes more,” Marshall says. Potential Pretire clients are organisations looking for senior executives to fill roles or complete projects that demand world-class skills in specialised areas. These might include large corporates, fund managers, private equity, small- to medium-sized businesses or even state-owned enterprises. Marshall argues that Pretire brings back experience by providing these organisations with senior executives who have proven track records, expertise and invaluable experience.